How do I use the Beamman’s DropShadow effect? Where can I download the MME DropShadow effect? How do I make it work? Have you downloaded the Drop Shadow effect and don’t know how to use it ? Today I’ll teach you how to apply Beamman’s drop shadow effect! 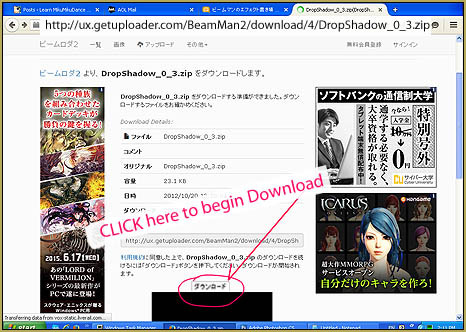 Another page will open… but don’t click anything… just wait a moment and your download will begin. 4.) Click Load in the accessory tab and navigate to your drop-shadow folder, click the DropShadow.x file. And… guess what ? You’re done ! Yay ! 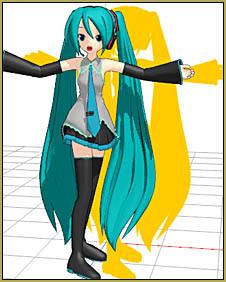 If you don’t see the bright yellow effect, you will need to click the MME in the upper right corner of MMD and click Effect Mapping… and click on the effect, select Set Effect, and click on the DropShadow.fx file. Now you should be in business! Search online for more info about using this effect!